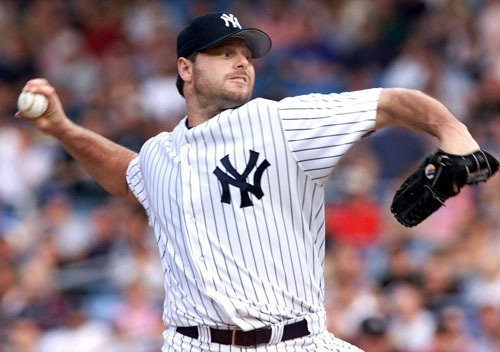 Roger Clemens was once the most dominating pitcher in modern era of Major League Baseball. Clemens won a record seven Cy Young Awards (6 AL, 1 NL). Clemens won well over three hundred games in his glorious career. Clemens struck out 4,672 batters and maintained a career 3.12 ERA. Clemens was the 1986 American League MVP. Clemens played for the Red Sox, Blue Jays, Yankees, and Astros. Clemens won the World Series twice with the New York Yankees. Clemens, allegedly, lied to Congress in February of 2008. Roger Clemens was accused of lying to Congress about his alleged steroid usage during the latter part of his career. His reputation fell hard. He went from being arguably the greatest pitcher in the modern era to a joke and an outcast. The man known as the “Rocket” was indicted on the charges he was up against and on Wednesday his perjury trial began. On Thursday (today), it ended. Reggie Walton, the United States District Judge assigned to the case, ended the trial instantly Thursday when the prosecution made a mistake that even people who watch Franklin and Bash on TNT would be aware of. The lawyers prosecuting Clemens presented the jury with a video of a Andy Pettitte’s wife talking about the “Rocket” coming clean about his drug use. The problem is, Judge Walton did not permit this evidence to be presented and ruled it out of the trial. But it was too late… the jury had heard it. As a result, a mistrial was called on the prosecution and just like that, the case that took more than three years to build ended without a verdict. On September 2nd, Judge Walton will decide whether or not to start a new trial. Clemens, who is Constitutionally entitled to a fair trial, was disappointed in how things went down. Clemens was gracious enough to sign autographs for fans outside of the courthouse. Clemens joins Barry Bonds as not only some of the best two players of the modern era, but also two men who dominated Major League Baseball only to be tarnished from steroid allegations and have perjury trials end in mistrials. Will Clemens have to go through the trial process again? That will be answered on September 2nd.